Peace Corps volunteer. Teacher. Sports enthusiast, musician, and woodworker. Judith Gove Browning wore many different hats throughout the course of her full and busy life. One of the first female Peace Corps volunteers in the Dominican Republic, she arrived in the poorest part of the country in 1964 to teach nutrition and cooking skills. There, she met another volunteer, James Browning. The two fell in love and later married. When the Brownings returned to the United States, Judy began her career as an elementary school physical education teacher in Oklahoma City and raised two children, a daughter, Julie Browning, and a son, James. Her classes were unusual for the times, says Julie, because she liked to include games from other cultures and incorporated a little history and foreign language. An indefatigable sportswoman, Browning excelled at tennis, winning several state-level U.S. Tennis Association singles and doubles titles. The New Hampshire native was also a state badminton champion and once beat tennis star Billie Jean King at a badminton match in Los Angeles. 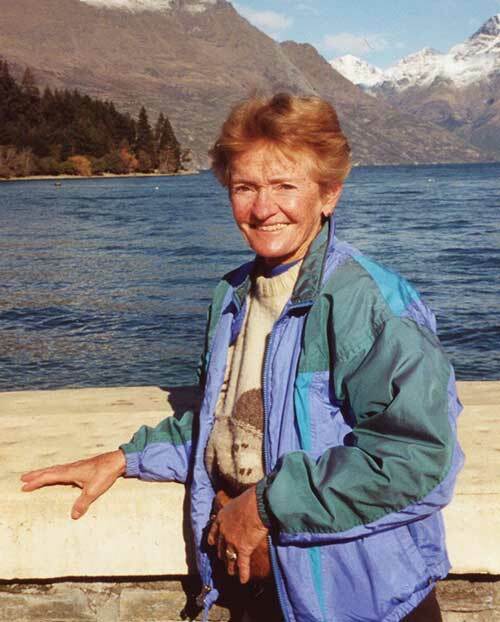 She loved to ski and recently returned from Steamboat Springs, Colorado and what she had told her sister, Jane Tibbetts, was her "best ski trip ever." Awarded a Fulbright fellowship to Japan toward the end of her teaching career, Browning immersed herself in local culture, staying at a traditional Japanese inn, or ryokan, and joining other women in the communal baths. It was an experience she wouldn't have missed, but she admitted preferring her early-morning solitary swims in Ski Island Lake in Oklahoma City. Retirement opened up even more horizons for Browning. A clarinetist, she took up the violin and joined the Oklahoma City Philharmonic's Society of Strings. Selected through a competitive process by the Organization for Security and Cooperation in Europe and the U.S. State Department, she also monitored elections in Russia, Ukraine, and the Balkans for 15 years. Running gear and a bathing suit were always in her suitcase so that she could exercise wherever she traveled. Browning was a self-taught handywoman who could fix anything in her own house, including the roof, says her sister, and often helped the neighbors with their own home repairs. Skilled at woodworking, she carved intricate gifts for her family and friends. Browning asked to have her ashes spread at Millen Lake in Washington, N.H., a request her family will carry out this spring. She died on January 13 at age 75 after suffering a cerebral vascular accident while playing tennis. Only a few weeks earlier she had been traveling around South America. While there, she learned to tango.